How Much Does A Photography Business Coach Cost? Your photography business was your dream. The photography businesses failure rate is very high according to some statistics and Jodie Otte of Black Horse Studio in a recent article said that 95% will fail. The stats of course don’t reveal the truth and the reality about what is really going on for you as a photographer who want to have a successful photography business. There is a lot more involved in the “behind the scenes” truth about the lonely, emotional rollercoaster ride of creating and building a successful photography business that most business owners go through. Success is an exciting unpredictable journey, and part of the journey can be filled with bad decisions and mistakes, lost money and often days of feeling worthless, and unloved. Your decision to build a photography businesses, is a tough and courageous one. It can also be one of the few decisions in a photographer’s life that can fundamentally grow you as a person. A photographer’s journey is generally filled with a mixture of positive and negative emotions, and here are a few of them that a photographer may encounter in their business life. Excitement. The time you have been dreaming and working towards has finally arrived. 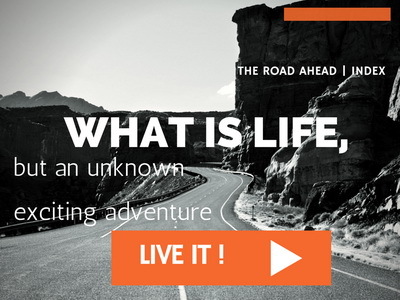 The doors of your photography business are opening, the website for your new business is live and you launch into the unknown world of business. You love taking photographs and starting your own photography business is your dream. You’re excited, as you visualise the floods of Newborns, Families, etc coming through the door. You are nervous, but you feel that your business will be a sure fire hit. You have confidence and you just know that you have made the right decision. When you start to get the first customers in front of your camera you experience a great overwhelming feeling of satisfaction. You just know that you have made the right decision to “go it alone” even though a lot of family and friends thought you were crazy to do so! Happiness. You are doing well, so you pay off your credit card, your business is finally in the black, and you are happy. You have achieved your goal of creating a profitable business and who you have become is a different person from who you were just three short years earlier. Disappointment. After a while busyness becomes a trickle of low paying customers and reality hits you. Your excitement has been replaced by disappointment and a lot of questions. Why did they not book? Did I get this wrong? Have I set my prices too high? Was I too optimistic in my expectations? How am I going to get more sales? Is this really for me? Fear. You can reach a point where you think that business is not as black and white as you thought it was. You have one or two bad customer experiences and doubt fills you mind. You knew it wasn’t going to be easy, but because your photography was good, you felt that people would happily pay for it. You begin to doubt that you are not “good enough” to have a business. Some poor sales weeks may drag into months and when the sales stay flat, and your initial disappointment begins to turn into fear. Fear that you’re not covering your costs, fear that you’re going backwards not forwards, and fear that this photography business that you have created, is looking more like a death sentence rather than a ticket to wealth, happiness and freedom. You don’t realise it at first but this fear can be helpful, as this fear is important, and it may be a galvanising force to find an inner strength and belief. Many photographers give up right here, when success could be just around the corner. Inner Strength. Suddenly something changes, in your mindset and you decide to face the facts. You decide to stop avoiding the truth of your bad situation and you decide to confront the mess you’re in. Instead of repeating the same marketing strategies you used previously, that are now not working you start to implement new strategies. You start putting yourself on the front line and you even start asking for help. You make a decision to learn everything that you can about strategic marketing and selling. I am sure many of you reading this will be shaking your heads up and down and agreeing that you have been through some, if not all of the emotions above and more. You understand that your photography business is not an event, but is a long journey. 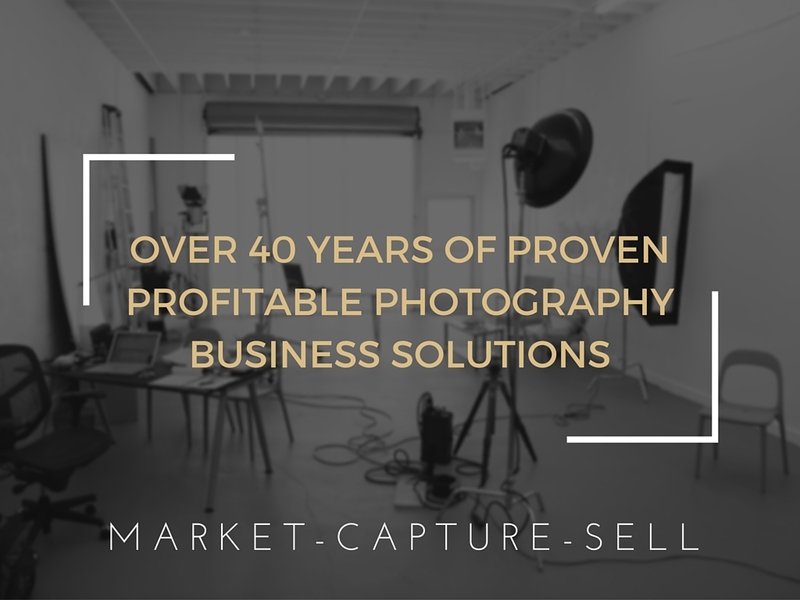 So you may have come to a point in your journey that you are looking at finding a photography business coach to help you out of the situation that you are in, whether it is in helping you through a bad period, or simply that you want help to accelerate your business growth. The question is how much should you pay for a photography business coach? It is important that the coach that you select has been the owner of a successful photography business, and has “walked the walk.” This will give you the confidence to know that they know what the industry is all about, and what it takes to create and grow your business. The fees of a photography business coach will usually relate to the amount of experience that the coach has, not only in running a business, but how many years they have been coaching. Like any form of expertise prices vary, and photography business coaching can cost from $250 for a single one hour consultation to the more intense twelve month photography business coaching priced up to $12,000. Some coaches charge a monthly fee, while others will come to your studio for a couple of days and provide you with the solutions to your problems. Many photographers are part time coaches, and are offering coaching services to make a little extra money as their business may not be going too well. They may charge for a short time program and you can expect fees of around $3-$4,000 for this type of guidance. Whatever coach you decide on, what you should be looking for is a return on your investment. A good photography business coach will help, drive, and guide you in increase your turnover and maximise your profit. Posted in Uncategorized | Comments Off on How Much Does A Photography Business Coach Cost? The stats of course don’t reveal the truth and the reality about what is really going on for photographers who want to have a successful photography business. Success is an exciting unpredictable journey, and part of the journey (including my own) can be filled with bad decisions and mistakes, lost money and often days of feeling worthless, and unloved. As a photography business coach I believe that the decision to build a photography businesses, is a tough and courageous one. It can also be one of the few decisions in a photographer’s life that can fundamentally grow you as a person. You may even hire a photography business coach to accelerate your growth. Understand that Success is not an event, it is a journey. Sometimes we need failures at some part of the journey to drive us forward. I hope your passion and drive will create the photography business that you had hoped for. Be your own person, believe in yourself, get help, stay positive and walk proudly to achieving your goals. You were born to succeed ! Posted in MARKETING, photography, photography business, photography business coach, photography coach, photography marketing | Comments Off on Can You Do It? In the years I’ve spent coaching others as a photography business coach, I’ve recognized patterns in what we all do, myself included, that hold us back from success. Here I share 12 of the most powerful lessons I’ve learned along the way. You ask yourself the wrong questions. You wait for others’ permission. You wait for the “right” time. You make lists and beautiful plans. You re-write those plans and use the latest app to capture them a second time. You discuss your plans, visualize your plans, criticise your plans. You do everything but act on them. Your first step, as imperfect as it may be, will be much more useful than all the plans in the world. Your first step might actually change all the plans you made in the first place, so spend most of your time on acting, not planning, if you want to get somewhere. This is my favourite one by far. I’ve spent hours tweaking my website, reading other blogs “for research purposes,” playing with new apps. Days have gone by where I’ve sat at my desk for hours being very busy at doing nothing. If you know you’re doing the same, take a step back and ask yourself where your actions are leading to. If they’re not leading to tangible results, then you know you need to be spending your time doing something else. You assume talent and not persistence in the secret to success. You don’t know when to let go. What will happen? For one, you’ll still be perfectly okay. But who knows, once you gather a broader mindset you might find the exact opposite of one of your old opinions to be true. Working out pricing for a photography business can be a difficult thing to do. There is heaps of online advice, and of course your photography friends always like to give you their opinion. Posted in MARKETING, photography, photography business, photography business coach, photography coach, photography marketing, portraits | Comments Off on Are Your Underselling Yourself? How you reply to their request could be the difference between your business thriving and not. Are you bogged down with trying to sort out your prices for your portrait and wedding photography? Are you testing or guessing? Or are you testing and measuring? Who ultimately sets your prices? Is it you or the customer? It took me many years of test and measure to get my pricing formula right. Are you pricing yourself to fail? If you are too cheap or too expensive you may be busy but with an empty bank account. What do we need before we can set our prices?……………………..we need products. As a photography business coach I always explain that products are important when you set your prices. 7 Mistakes Photographers Make When They Set Their Prices. 1. Make price stand out more than their Branding/ Positioning. Many photographers price lists I see make the price in the largest font and even sometimes in a stronger colour. 2. Make their price list too complex. Price lists are sometimes so complex that even I do not understand them, never mind the general public. Other photographers prices bear no relationship to yours. Their products, photography, overheads, needs and wants are totally different than yours. 4. Set their prices and don’t adjust them regularly. Once we set our prices we must check on what products sell the most ( our core products) and lift them. 5. Put a full price list on their website. Hands up those who say yes you should be on the website? Hands up those who say no? 6. Use a multiplication factor to wholesale cost. 7. Charge by the hour. Some sources say that you should use a 5 X cost to price your products. So a 5×7 inch print should be 5x cost…that would make it $15 on your price list. Are you kidding? You can charge what you want right? The perceived value of the product determines the price. 1. Perceived value can be the way that you have positioned yourself in the marketplace as maybe high end and expensive. 2. Perceived value can be enhanced with great presentation and packaging. Example…7×5 loose and in ready to frame mount with acetate and ribbon. 3. It could be that it is printed on archival Art paper rather than on standard photographic paper. 4. It could even be the photography itself that is incredibly creative and has exceptional post production on the files. SO HOW SHOULD WE SET OUR PRICES? First we have to ask the question. How much money do you want to earn? Having this open mind, I always drove my business as hard as I could on a daily basis. Set your initial prices to your own cringe factor. We are finding out what the market can stand the market could stand. With wedding photography you have a price that will attract the kind of customer that you want. Then by using an effective Album Planning process you increase that total sale by at least double. YOUR PRICING SHOULD REFLECT YOUR….. The facility that you work out of. Price is just one piece of your business jigsaw. Getting it right is about “test and measure” and in going to the market, with it and letting the market decide. In my years of experience as a photography business coach, I realise that there may be people that may look to find the lowest price photographer in their community, and if you feel they are your ideal client , then target them and market to them. But as a photography business coach I would prefer you to find better clients than market to those who do not value your photography.